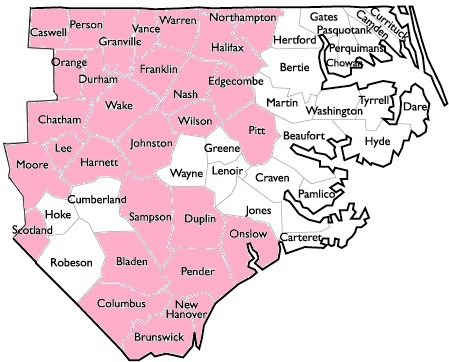 Komen NCTC offers grants for innovative projects in the areas of breast health that include actionable breast cancer education, patient navigation, screening, diagnostics, treatment, and support services for the medically underserved populations of our 29 county service area: Bladen, Brunswick, Caswell, Chatham, Columbus, Duplin, Durham, Edgecombe, Franklin, Granville, Halifax, Harnett, Johnston, Lee, Moore, Nash, New Hanover, Northampton, Onslow, Orange, Pender, Person, Pitt, Sampson, Scotland, Vance, Warren, Wake, and Wilson. Grants are available for up to one (1) year and on a fiscal year cycle from April 1 to March 31. All applicants must participate in either a grant writing workshop or grant writing webinar. Submitted applications will not be considered from organizations that did not participate in the mandatory training. If this is your first time applying for funding from Susan G. Komen NCTC using the Komen Grants e-Management System (GeMS), you are required to attend a grant writing workshop. If you have previously applied using GeMS, you must attend either a workshop or a webinar.